If you raise outdoor kids, there’s a good chance they’ll grow up to be outdoor teens and adults, and if you’re anything like me, you’ll spend equal time being proud of the person they’ve become, and fearing for their adventure-loving lives. And then, you’ll do the only sensible thing and outfit them with the tools they need to be safe and have fun while embarking on countless outdoor adventures. 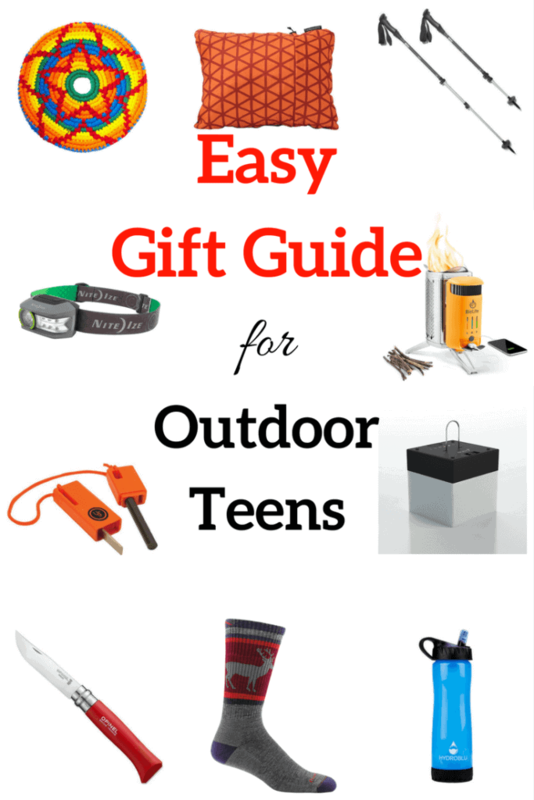 Here are some of our favorite gifts for teens who love the outdoors. If there’s one thing I’ve learned from raising kids, it’s that you can never have enough headlamps. We have them stashed in day packs and glove compartments, but we still can’t seem to find them when we need them. We’ve had our Nite Ize Radiant headlamps for almost two years now, and they are, by far, the brightest and longest lasting of any that we’ve tried. On the lowest setting, this headlamp will last for 43 hours before running out of juice, and the red-light setting is awesome for reading star maps. Good lighting is also one of the 10 essentials that every hiker should carry while hiking, even on day trips. Remind your teen to keep this in their pack for emergencies! 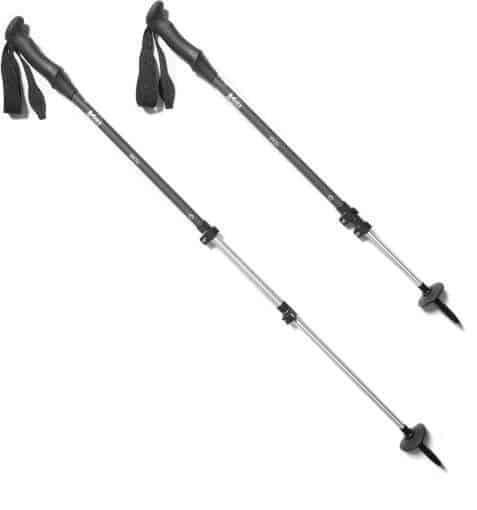 When I first started using trekking poles, I thought I was being sensible and decidedly middle-aged. They are awesome for stream crossings, distributing weight, and helping with balance. I wasn’t at all sure my teens would be into them, but they have both borrowed my poles for day hikes and longer treks. I’ve remedied the situation by getting them their own. There are so many trekking poles out there, but we’ve found the REI Co-op Passage Trekking Poles to be rugged, lightweight, and most importantly, affordable. Because they collapse down to just 27 inches, you can easily store them in your trunk or strapped to your pack. We got our kids their first Opinel knives when they were just little tykes. They would wear them around their necks on a lanyard, and pull them out to make marshmallow sticks or whittle by the campfire. Those original knives are long gone, but there have been a lot of replacements over the years. We’ve tried other brands, and keep coming back to these. We usually get the knives with the plain wooden handles, but we recently switched to the ones with red handles because they don’t hide themselves when they’re dropped on the ground. Our current favorite is the 3.25-inch red folding knife with a stainless steel blade. We received a HydroBlu water bottle with filter to review a few months ago, and I have been super happy with it so far. It makes use of a built-in filter so that you can fill up anywhere without worrying about tainted water. 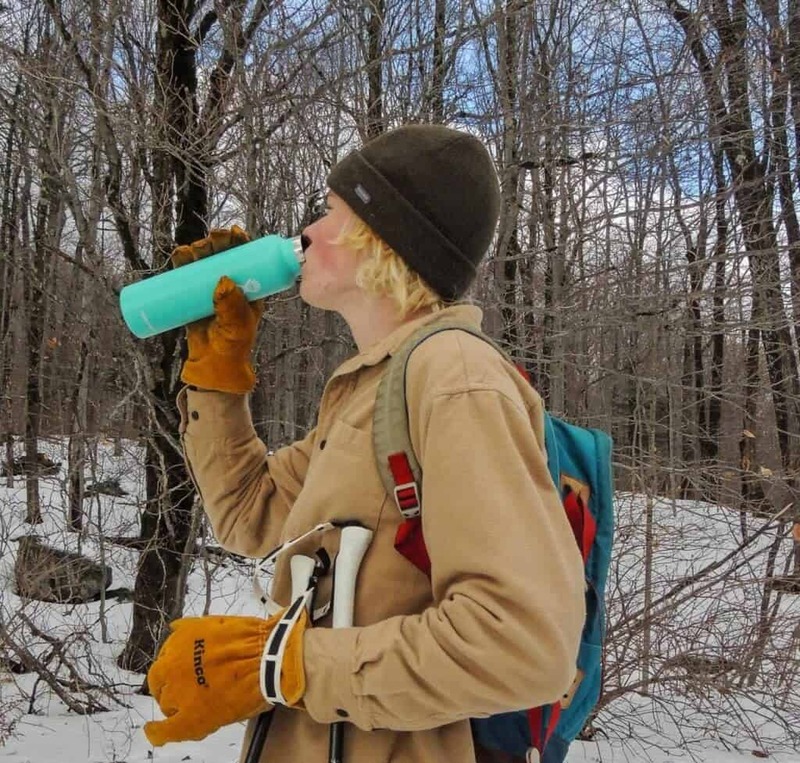 We don’t use it everyday, but it’s great on backpacking and paddling trips because we save weight by not having to bring a separate filter, and the bottle itself is lightweight BPA-free plastic. With the filter installed it is 7.8 ounces, and the filter can be replaced after filtering approximately 400 gallons. 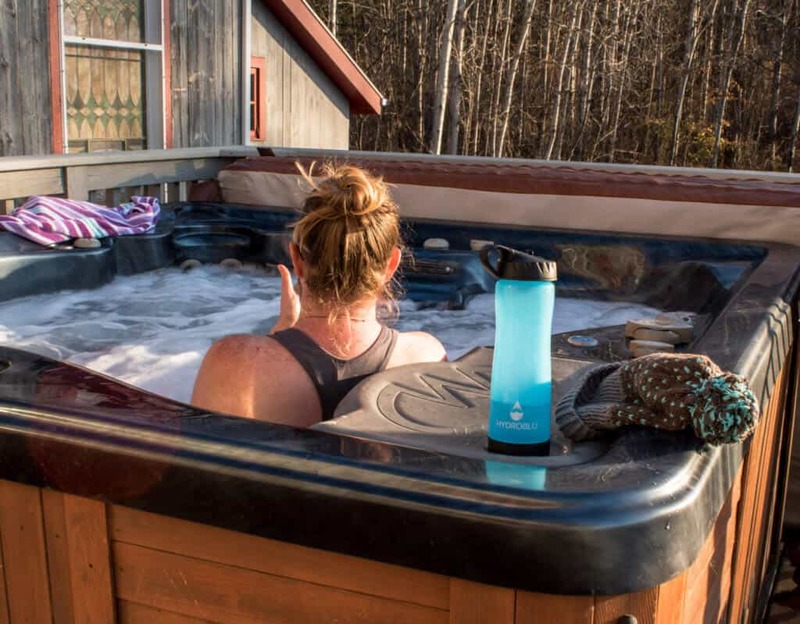 While our teens use the Hydro Blu bottles for outdoor adventures, they would also be awesome for traveling overseas, especially to places where the quality of the water is in question. This tiny little gadget is another one of the 10 essentials for hikers. For the most part, it can be stored in your day pack and forgotten, but I recommend playing around with it and practicing before you actually need it. When my kids were younger, they made it a personal goal to start every fire without matches or lighters. Despite its name, this emergency fire starter doesn’t create a blazing fire for you so that you can keep warm in a pinch. All it does is create a spark. It’s up to you to find tinder, and turn that spark into a fire, but it’s a skill that is well worth learning. This gadget makes a great stocking stuffer and it will keep you kids (even teens) busy outdoors for hours. Best $10 ever spent! If you know me in person, you’ve probably heard me wax on about my all-time favorite socks. They are made here in Vermont, come with a lifetime warranty, they’re incredibly warm, and they’re beautiful. I’ll admit that socks don’t often make it onto the teen wishlist, but the truth is, there is no better gift for outdoor lovers. There is absolutely nothing better than warm feet in the winter, and comfortable feet any time of year, which is why everyone in our family gets at least one pair of Darn Tough socks per year. We’ve been wearing them for decades, but this is the very first year that I’ve signed on as an affiliate. I have nothing bad to say about these socks. Honestly and truly, they are the best I’ve ever worn. Dar Tough offers free shipping if you order two or more pairs. We use Hydro Flask water bottles every single day. 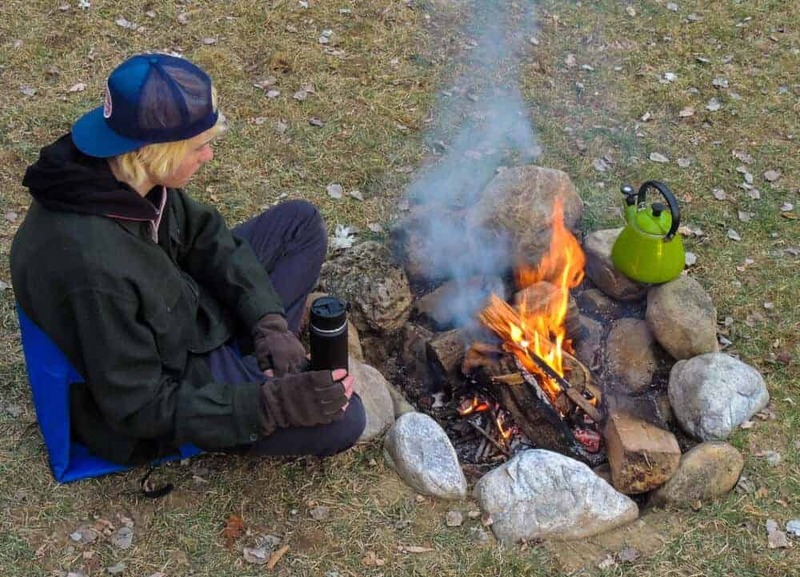 They are especially useful for winter because they’re insulated, which means your water won’t freeze up on the slopes, and if you want to pack some hot tea for the trail, it will still be steaming when you’re ready for a break. These bottles come in every color of the rainbow, and will last forever if your teens don’t lose them. Unlike wooly socks, the Hydro Flask water bottles do make it onto our kids’ wish list. They’re as perfect for long school days as they are for outdoor adventures. Is there anything worse than walking into a cozy, warm building after being out in the cold, only to find that your eyeglasses have totally fogged up and you can’t see anything? I’ve been using different variations of anti-fog spray for years, with very little success. Sven Can See Anti-Fog Gel wipes on all types of glasses and goggles, and keeps them fog-free, guaranteed. I use it on my glasses all winter, and my teens use it to keep their ski masks clear on the slopes. The Sven Can See Anti-Fog Gel is biodegradable and safe for all types of lenses. This small, 2” LED cube light is a fun gift for teens who love to camp, paddle, hike, or just hang out after dark. 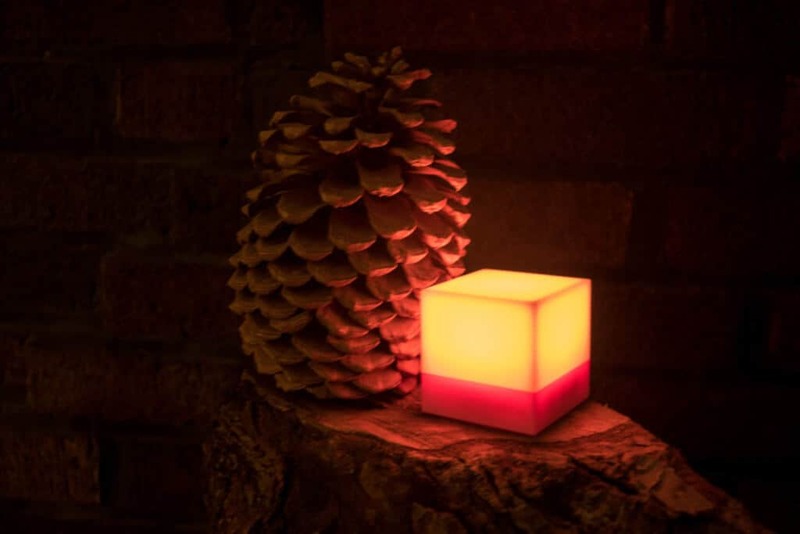 It’s a compact cube with three soft white light settings, a setting that allows you to cycle through several colors or choose your favorite, and an emergency flashing light. The CUBE comes with a hook for hanging in your tent or from trees around your campsite. It’s a nice versatile little light, plus it’s durable and stylish too. Useful for camping, but also for teens who want to be prepared when flying, road tripping, and heading out on unknown adventures, the Therm-a-Rest compressible travel pillow weighs in at 9.5 ounces, and can be compressed to easily fit in a day pack, glove compartment, or carry on. When fluffed up, the pillow is about 14” x 18” x 4”. My teens had no problem sleeping on rolled up sweaters when we went camping, but the pillows are a nice bit of comfort after a day of hiking or traveling. They’re made in the USA and come in a variety of colors. The idea is just awesome. I’m bit older than teen but I love all of this in my own adventure list. I hope to get all the gift very soon. Great gift ideas for those who love outdoors! I think the trekking poles are useful on most occasions! You have some great ideas on here and I am not a teenager and I would get some of these products for myself or my husband. 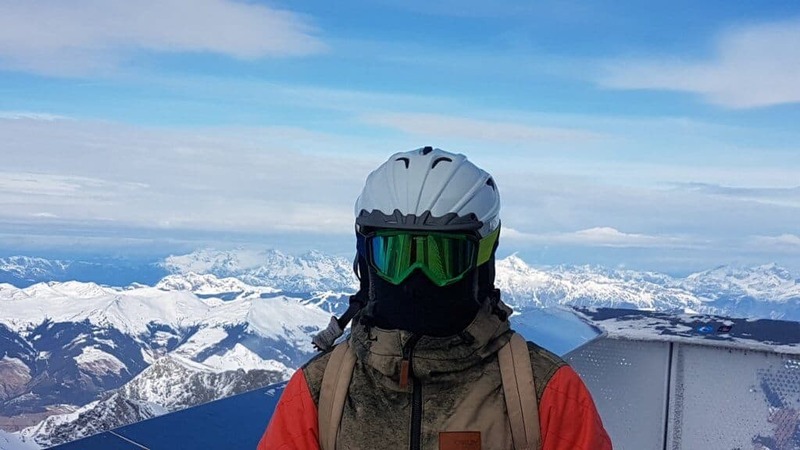 That Anti-Fog Gel for Eye Wear while skiing is a great idea and I would definitely use that for sure. Do these have to be for teens? I am a full grown adult and want all of these! I’ve never seen that camp stove before, what a handy little item to have! I will send this over to my husband for some not so subtle holiday hinting! I’m a bit older than a teen but think this is useful for my own outdoor adventures too – thanks for sharing! The pocket knife is a great gift to give to a teen. I can attest to that because my guardian’s son has one and that’s all he plays with all day long. The other items are great too! Good to know. I mean for teens? We would be happy to get those as adults haha! The good thing about gifting these to your teens is that it pushes them to do outdoorsy activities. Great list for x-mas coming up! Great selection here though I don’t have teens yet (just a girl who thinks she is!!!). As a Frisbee player I particularly like the pocket disc idea. The emergency fire starter and headlamps are such great gifts. I have a headlamp and absolutely love it. I’m not a teenager, but I would love to have a fire starter and water bottle with the filter.